Surround sound is an exercise in compromise. Surround speakers are cumbersome and expensive to set up. They require you sit in a ‘sweet spot’ to achieve a decent sense of positioning, and can’t really replicate the sensation of sound getting close to your head. Headphones can position sound more accurately using techniques like binaural recordings, but those are rare to find and are isolated to a single person. 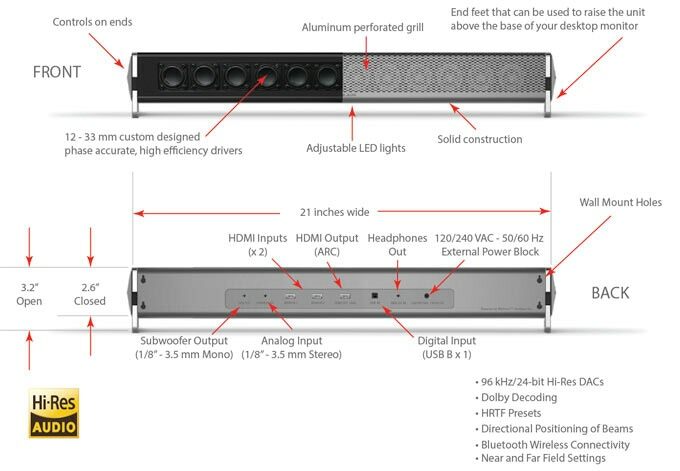 The Yarra 3DX, created by a company called Comhear, wants to solve all these problems in a $329 soundbar using advanced audio processing and a technique called beamforming. It’s the same sort of technology used in Apple’s HomePod – Comhear calls its implementation ‘MyBeam’ – but given it’s a Kickstarter campaign from a little-known company, I was pretty skeptical. That all changed when I heard it in person. One of the main benefits to beamforming is being able to control where sound travels. The Yarra 3DX uses the technique to allow you to change the location of the audio sweet spot, or even have multiple sweetspots at once for listening with a group of people. It means you can direct audio to a single location, so that you don’t have to raise the volume very much to clearly listen to dialogue. It means you can imitate the realism of binaural audio while feeling the bass notes throughout your body, and being able to share the intimate surround experience with someone else. And it just sounds darn good. Given I was only able to listen to the speaker for a few minutes, I can’t really tell you how it compares to other speakers of in terms of things like detail resolution, bass extension and treble sparkle. What I can tell you is that it sounded really good, and more importantly, the surround effect worked really well. I could hear bullets whizzing past my head in a gaming demo, or pinpoint exactly where sounds were coming form in a popular audio clip meant to demonstrate binaural audio. It’s a clip that normally has no effect whatsoever with regular stereo or surround speaker, but which clearly did with the Yarra 3DX. It does come with a separate subwoofer to help round out bass notes, which doesn’t need any beamforming because your ears normally can’t localize very low bass notes very well anyway. 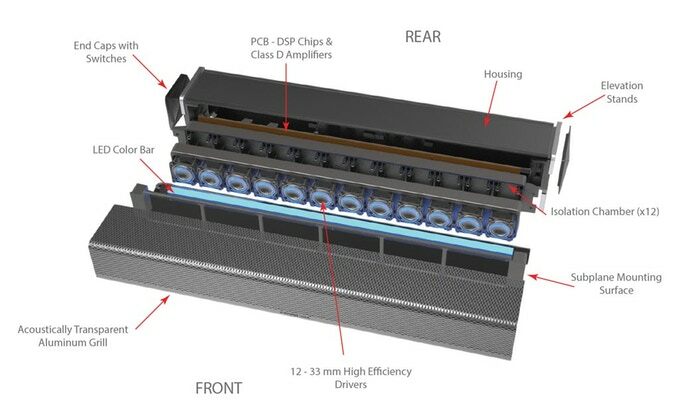 It seemed to extend quite low, and on the whole delivered impressive sound considering the size and price of the system. It immediately outclassed the Sonos Playbase – an excellent speaker in its own right – in terms of spatial realism, even if its too early to tell how good other aspects of its sound quality are. 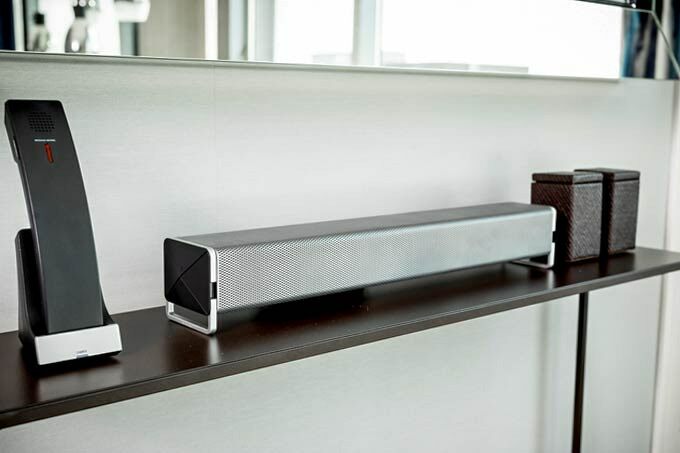 Unlike traditional soundbar-based surround audio, it doesn’t rely on reflecting sound off your walls, so it doesn’t matter if you have a weird room arrangement. I also appreciate that the 3DX comes with an app that allows you to customize the sweet spot locations and even modify the HRTF (head-related transfer function) to achieve the best sound for your particular noggin. It can replicate different positional audio techniques including 5.1, 7.1, Dolby Atmos, binaural audio, and more. More than anything, it made me excited for what the future of home audio looks like as more companies start to implement similar technologies. 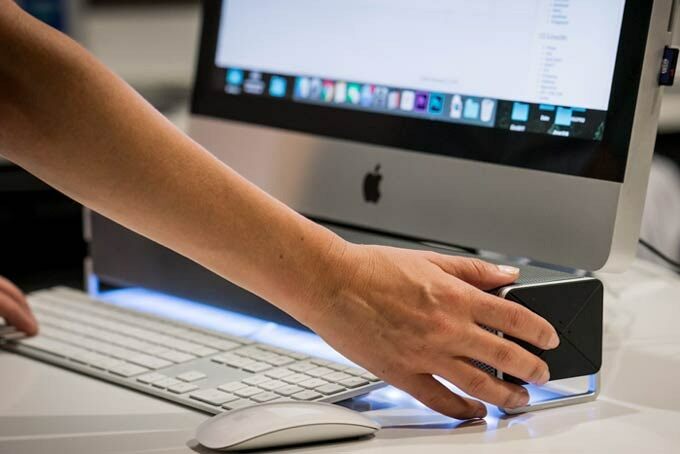 Though beamforming has been around for a while, compatible systems have mostly been tech demos costing thousands of dollars. Much like how image processing has greatly enhanced mobile photography, it’s about time computers made our speakers a lot better too. You can learn more about the Yarra 3DX at its Kickstarter campaign at the link below. The company was looking for $50,000 goal, but has already achieve over $428,000 with 28 days left to go.